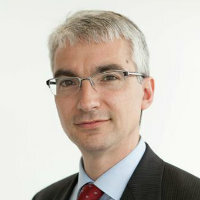 Professor Paolo Volpin is a Research Fellow of the Centre for Economic Policy Research (CEPR), and a Research Associate of the European Corporate Governance Institute (ECGI). Prior to joining Cass Business School, he was an Associate Professor of Finance at the London Business School. He has published on the American Economic Review, Journal of Finance, Journal of Financial Economics, Management Science, Review of Finance, Review of Financial Studies, Journal of Economic Perspectives and other journals. His research in corporate finance, especially in the field of corporate governance, has won several awards. He holds a Ph.D. in Economics from Harvard University and a Doctorate in Political Economy from Bocconi University. Pagano, M., Volpin, P. and Wagner, W. (2012). Credit Ratings Failures and Policy Options. Economic Policy 62 (pp. 401–431). John Wiley & Sons. ISBN 978-1-4051-9700-7. Rossi, S. and Volpin, P. (2007). The Governance Motive in Cross-Border Mergers and Acquisitions. Corporate Governance and Regulatory Impact on Mergers and Acquisitions (pp. 43–69). ISBN 978-0-12-374142-4. Volpin, P.F. (2007). Governance with poor investor protection: Evidence from top executive turnover in Italy. Corporate Governance and Corporate Finance: A European Perspective (pp. 257–282). ISBN 978-0-203-94013-6. Otto, C.A. and Volpin, P.F. (2018). Marking to Market and Inefficient Investment Decisions. Management Science, 64(8), pp. 3756–3771. doi:10.1287/mnsc.2016.2696 . Dessaint, O., Golubov, A. and Volpin, P. (2017). Employment protection and takeovers. JOURNAL OF FINANCIAL ECONOMICS, 125(2), pp. 369–388. doi:10.1016/j.jfineco.2017.05.005 . Acharya, V., Pagano, M. and Volpin, P. (2016). Seeking Alpha: Excess Risk Taking and Competition for Managerial Talent. Review of Financial Studies, 29(10), pp. 2565–2599. doi:10.1093/rfs/hhw036 . Simintzi, E., Vig, V. and Volpin, P. (2015). Labor protection and leverage. Review of Financial Studies, 28(2), pp. 561–591. doi:10.1093/rfs/hhu053 . Lins, K.V., Volpin, P. and Wagner, H.F. (2013). Does family control matter? International evidence from the 2008-2009 financial crisis. Review of Financial Studies, 26(10), pp. 2583–2619. doi:10.1093/rfs/hht044 . Cocco, J.F. and Volpin, P.F. (2013). Corporate pension plans as takeover deterrents. Journal of Financial and Quantitative Analysis, 48(4), pp. 1119–1144. doi:10.1017/S0022109013000355 . Pagano, M. and Volpin, P. (2012). Securitization, transparency, and liquidity. Review of Financial Studies, 25(8), pp. 2417–2453. doi:10.1093/rfs/hhs074 . Franks, J., Mayer, C., Volpin, P. and Wagner, H.F. (2012). The life cycle of family ownership: International evidence. Review of Financial Studies, 25(6), pp. 1675–1712. doi:10.1093/rfs/hhr135 . Pagano, M. and Volpin, P. (2010). Credit ratings failures and policy options. Economic Policy, 25(62), pp. 401–431. doi:10.1111/j.1468-0327.2010.00245.x . Acharya, V.V. and Volpin, P.F. (2010). Corporate Governance Externalities. Review of Finance, 14(1), pp. 1–33. doi:10.1093/rof/rfp002 . Enriques, L. and Volpin, P. (2007). Corporate governance reforms in Continental Europe. Journal of Economic Perspectives, 21(1), pp. 117–140. doi:10.1257/jep.21.1.117 . Cocco, J.F. and Volpin, P.F. (2007). Corporate governance of pension plans: The U.K. evidence. Financial Analysts Journal, 63(1), pp. 70–83. doi:10.2469/faj.v63.n1.4409 . Pagano, M.R. and Volpin, P. (2006). Alfred Marshall lecture: Shareholder protection, stock market development, and politics. Journal of the European Economic Association, 4(2-3), pp. 315–341. doi:10.1162/jeea.2006.4.2-3.315 . Pagano, M. and Volpin, P.F. (2005). The Political Economy of Corporate Governance. American Economic Review, 95(4), pp. 1005–1030. doi:10.1257/0002828054825646 . Pagano, M. and Volpin, P.F. (2005). Managers, workers, and corporate control. Journal of Finance, 60(2), pp. 841–868. doi:10.1111/j.1540-6261.2005.00748.x . Rossi, S. and Volpin, P.F. (2004). Cross-country determinants of mergers and acquisitions. Journal of Financial Economics, 74(2), pp. 277–304. doi:10.1016/j.jfineco.2003.10.001 . Volpin, P.F. (2002). Governance with poor investor protection: Evidence from top executive turnover in Italy. Journal of Financial Economics, 64(1), pp. 61–90. doi:10.1016/S0304-405X(02)00071-5 . Pagano, M. and Volpin, P. (2001). The political economy of finance. Oxford Review of Economic Policy, 17(4), pp. 502–519. doi:10.1093/oxrep/17.4.502 . Review of Finance, Associate Editor, 2008 – present.